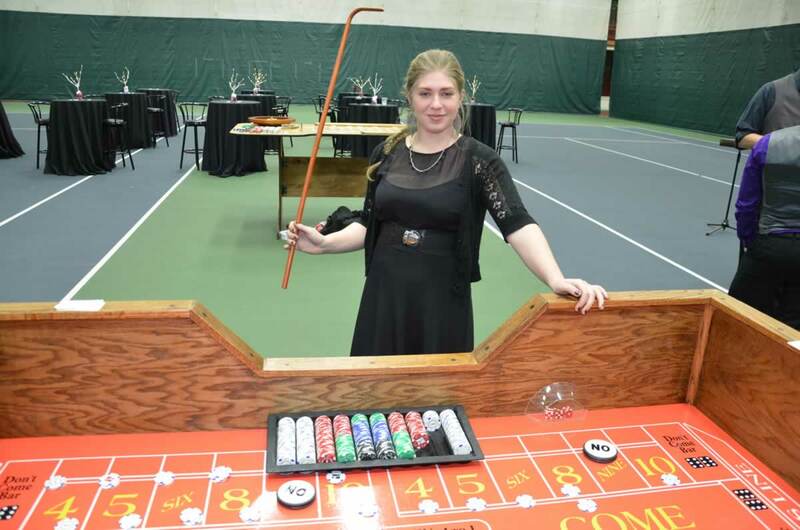 You can’t have a proper casino night without the best casino table rentals! 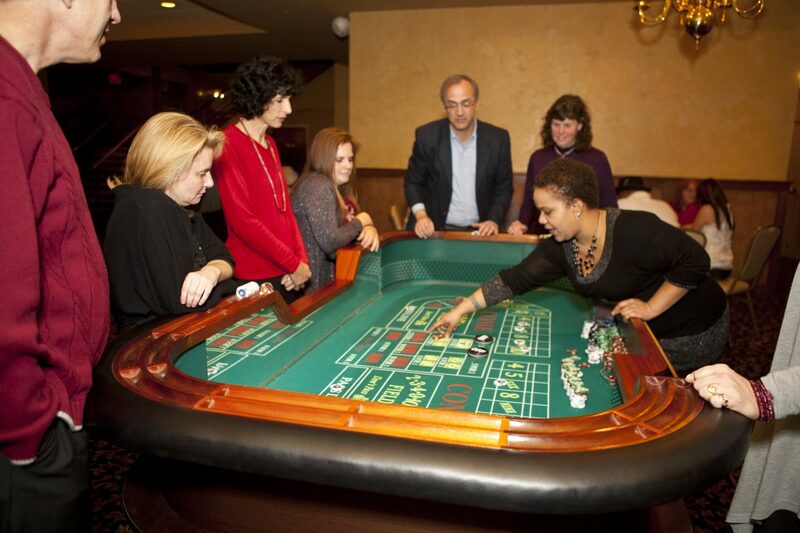 Our casino table rentals are handmade and beautiful. 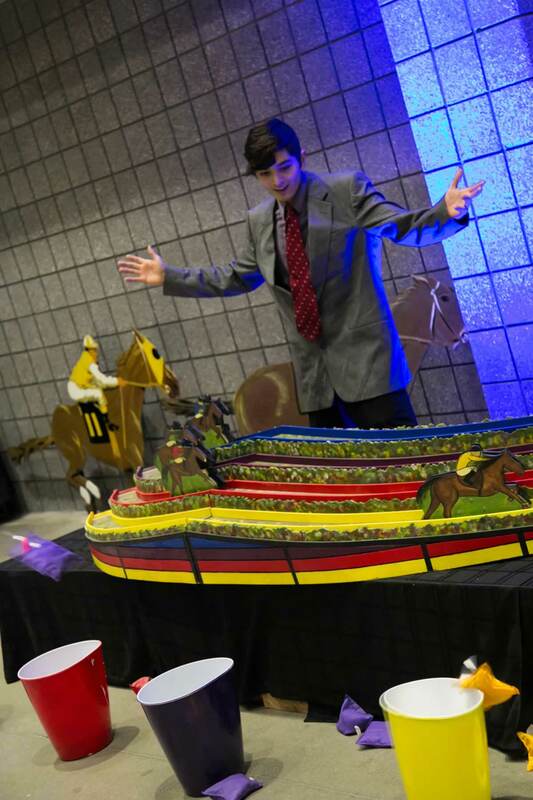 Some casino night companies have to hide their tables behind table skirting and even charge their clients for the skirts. 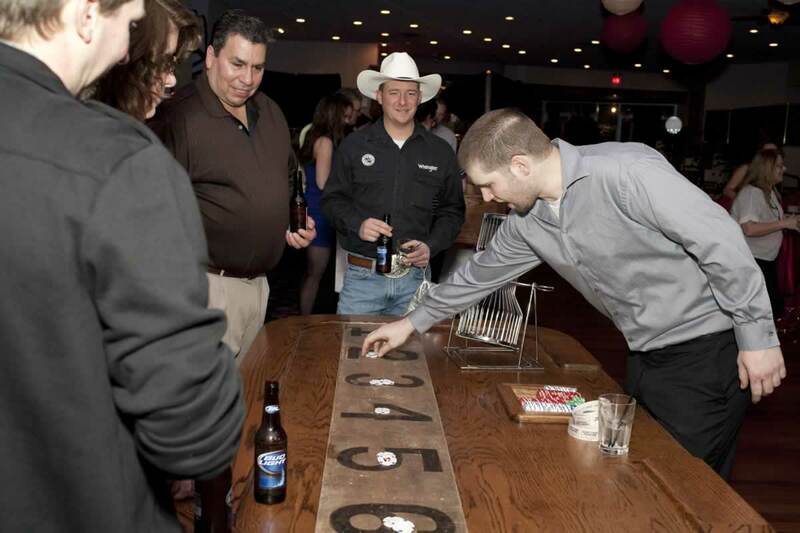 You’ll want your guests to see our tables. 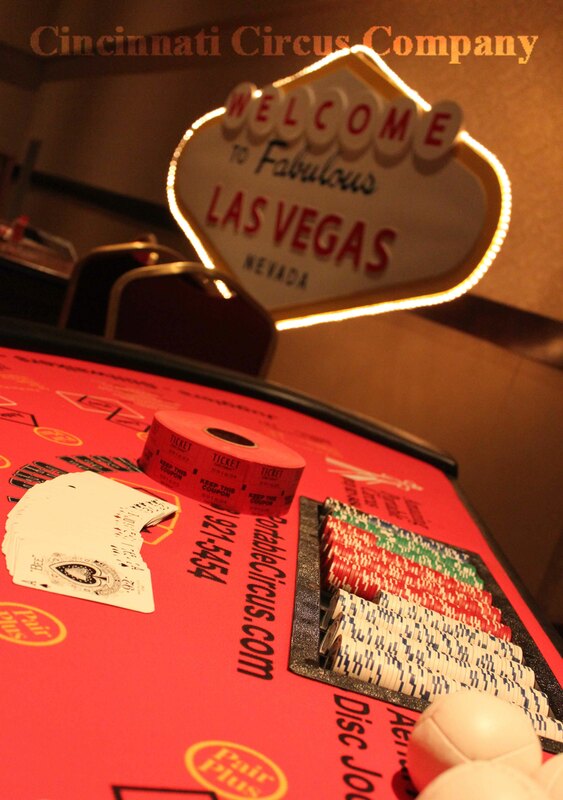 Our tables make you feel like a high roller. 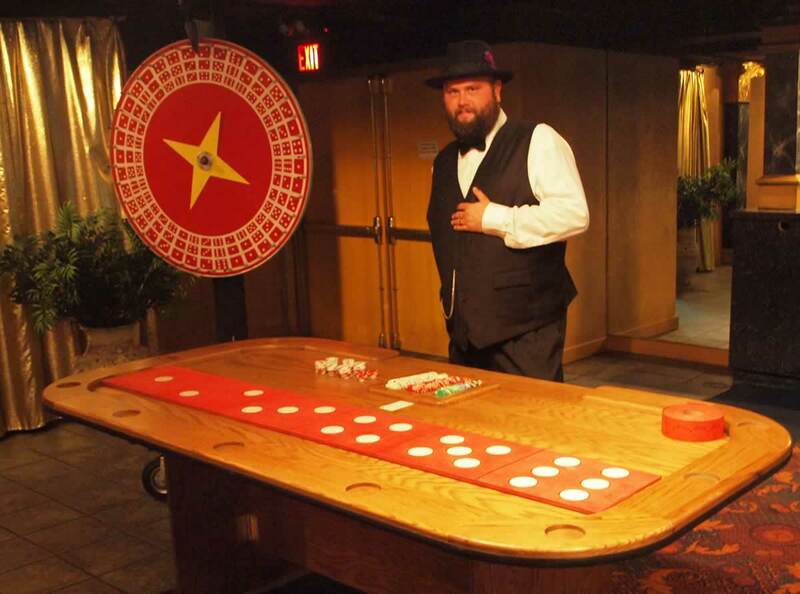 Don’t be fooled by other casino companies that try to sell their clients double sized casino tables at triple the price. 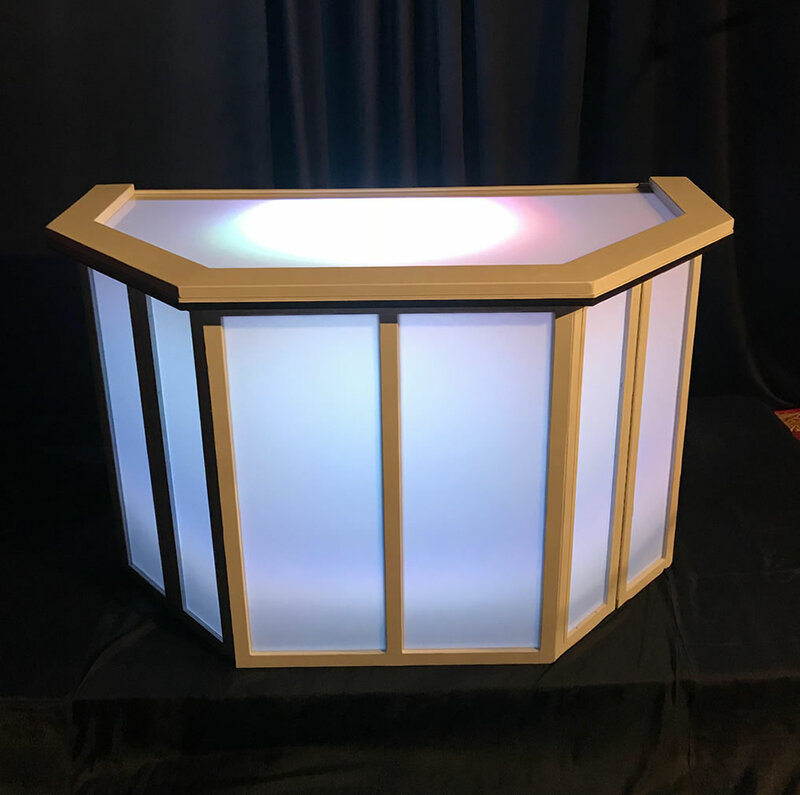 We have spent 1000s of dollars and untold hours prefecting our tables to accommodate more people in less space without sacrificing quality. 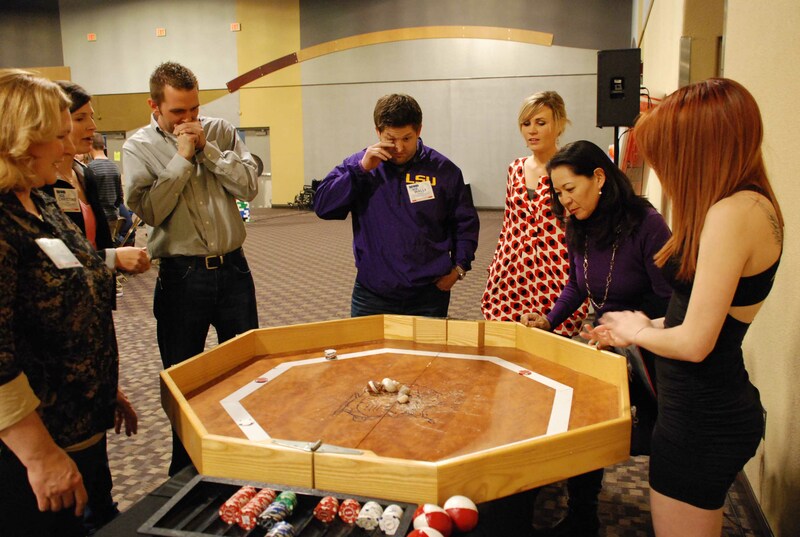 By choosing us, our casino tables will accommodate more people and cost less and occupy less space. 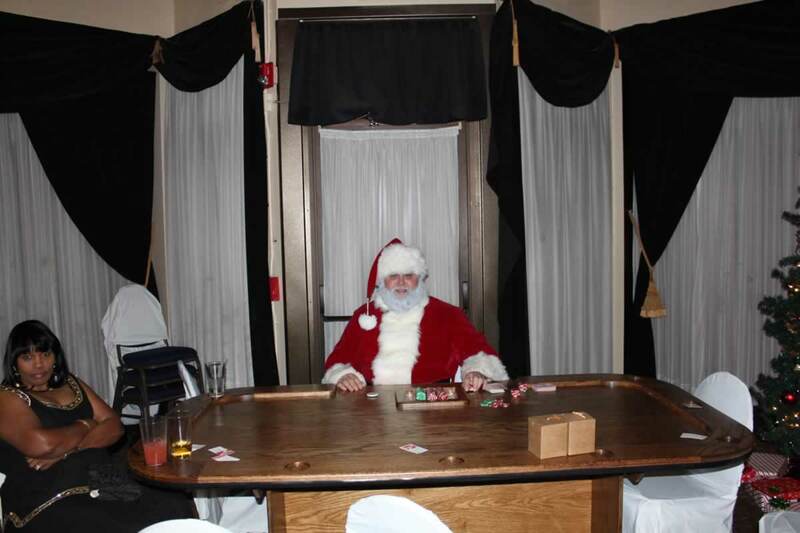 That’s a win for everyone! 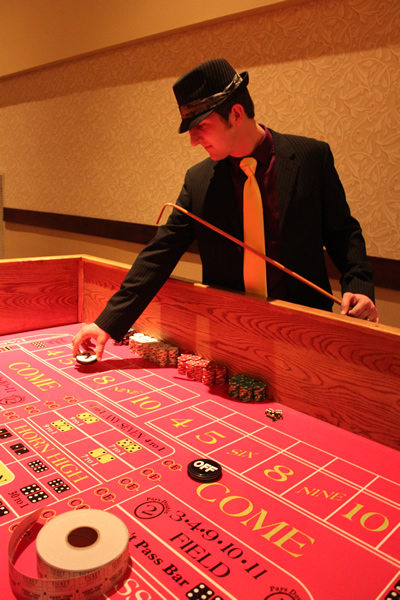 There are many casino games and many casino tables to choose from. 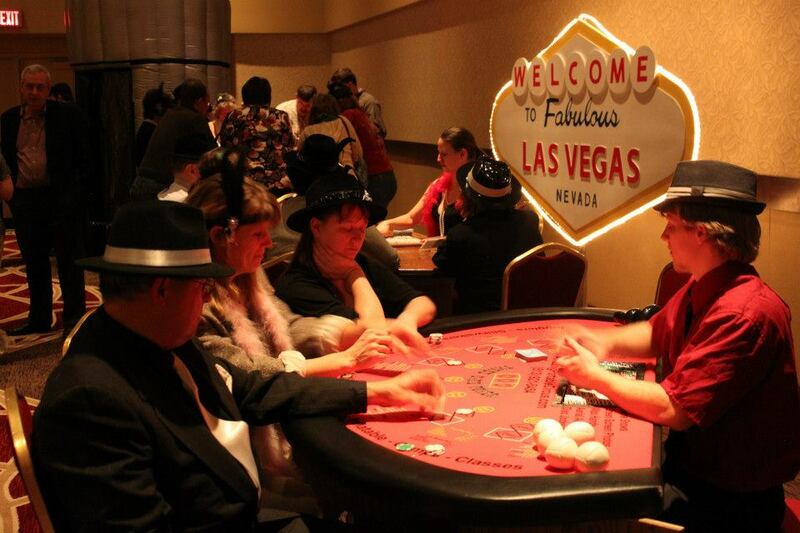 We offer all of the most popular casino games and we have some great casino games that almost no one else has! 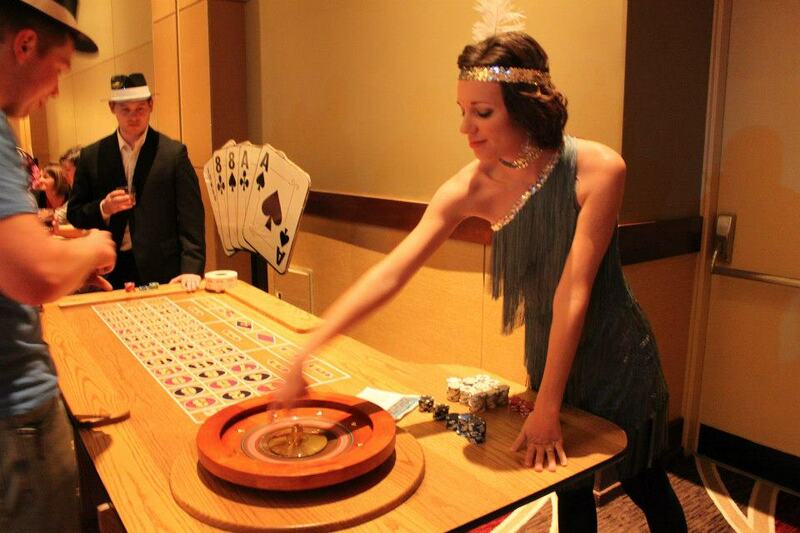 All of our casino table rentals come with everything necessary for play! 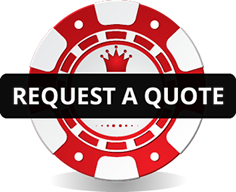 We include the heavier Vegas style weight chips and we include the dealer as well as free delivery! 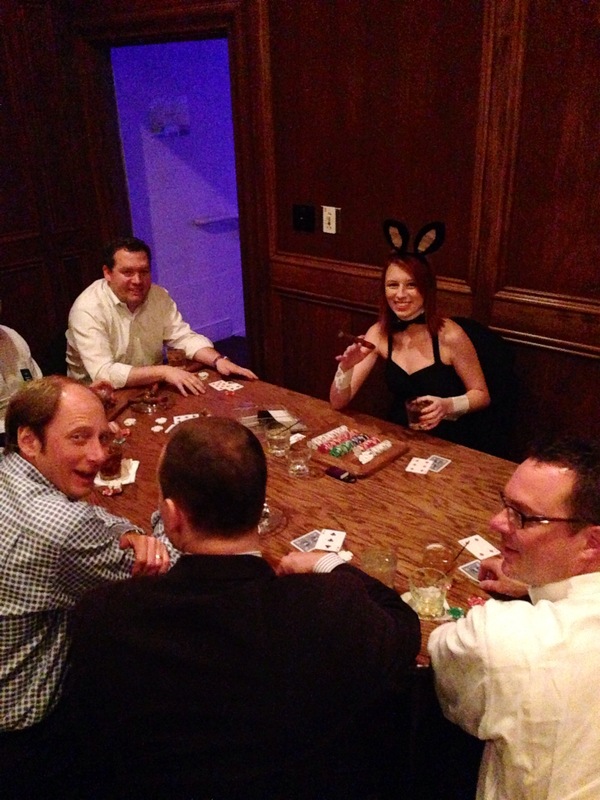 Our casino night dealers are fun, engaging and have skills beyond just dealing cards! 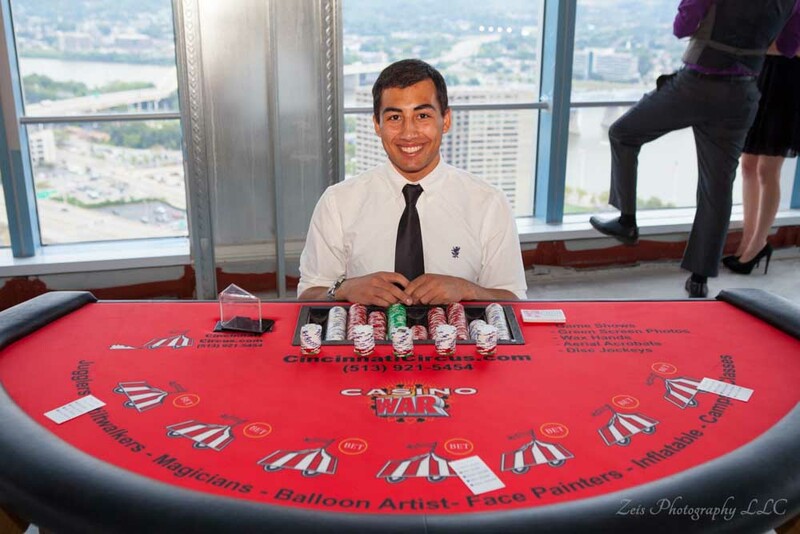 Our casino dealers each have their own talents, like juggling, eating fire, performing magic tricks, making balloon animals, and more. 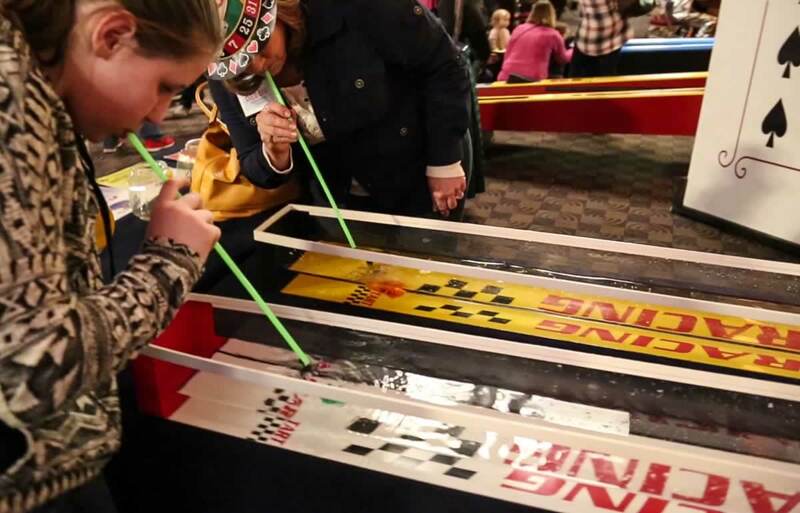 They also know how to make sure you and your guests have a great time so booking with us ensures you always get more than you expect! 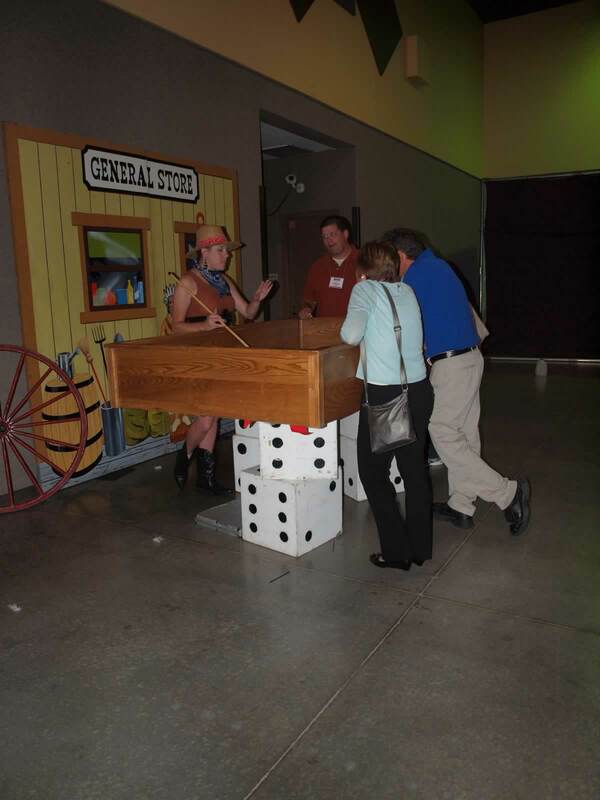 Our schedules fill up fast so don’t waste anytime reaching out to us. 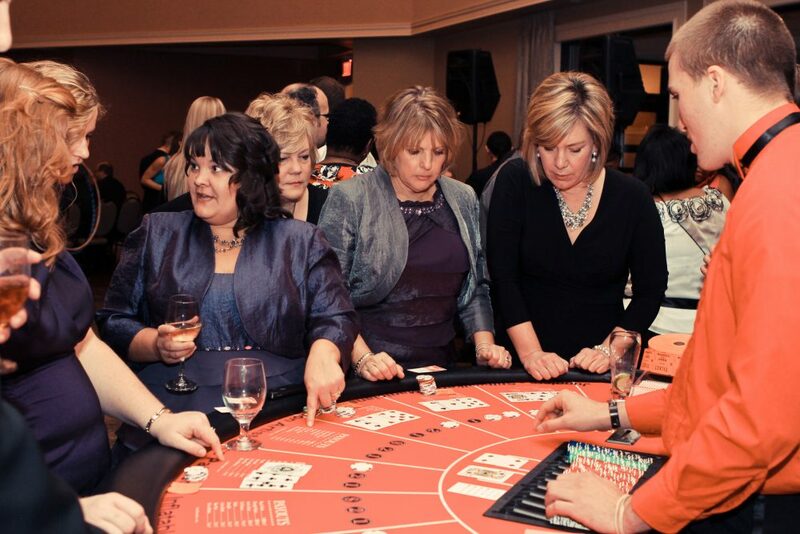 We’re ready to start planning your next Cincinnati Casino Party now! Bowling Green, Cincinnati, Cleveland, Chicago, Columbus, Dayton, Indianapolis, Frankfort, Fort Wayne, Louisville, Lexington, Pittsburgh, Toledo. Kentucky, Illinois, Michigan, Ohio, Pennsylvania, Tennessee.